When selecting a freight forwarding company, it is important to choose a forwarder who will be attentive to your needs and guide you through your freight process from A to Z. Independent forwarders differ from multinationals as you will often be dealing with two different companies. Each forwarder will usually service one country independently as opposed to a multinational. So how do you choose the right company for your forwarding needs? Read on to discover the pros and cons of each. Flexibility to meet your service requirements on time and within the budget is the real key to success. If you choose to work with an independent forwarder, they will select the best service provider available based on your shipping needs. In contrast, multinational forwarders mostly offer services through their local representative at origin or destination, limiting the choice for the best cost-benefit provider. Having a good relationship with your forwarder and its employees will ensure you get the most from your freight service. Independent forwarders offer personalised service supported by experienced staff, often with high retention rates. By doing business with an independent forwarder, you will likely build a relationship with a few individuals who regularly attend you and already know your needs. At a multinational forwarder, however, you may deal with many different departments or use an online system or automated helplines for information. The ability to quickly react to changing circumstances should be another key factor in your decision-making process. As a general rule, multinationals operate by processes and protocols, which may constrain you in terms of agility and flexibility. 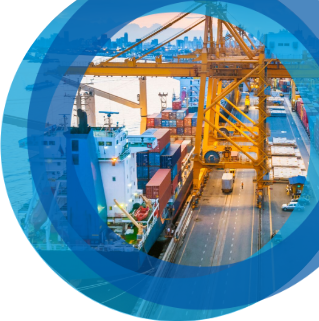 Due to their extensive number of shipments, multinational forwarders have to operate like clockwork and do not have time to deal with unexpected situations. Moreover, hierarchic management is the most common leadership style in multinational companies and this can also lengthen the decision-making process. When shipping internationally using an independent forwarder, you will benefit from a smaller business with a flat management structure, which facilitates swift decisions. Should your requirements change along the way, independent forwarders are sensitive to the fact that a small delay to your shipment can cost your business thousands of dollars. That is why they focus on getting your shipment to its destination without delay or penalties. No matter the shape and size of your business it is important that you feel valued by your suppliers. Multinational Forwarders have hundreds or potentially thousands of clients and losing your business might not affect their overall outcome. Independent forwarders are part of a network of already established agents in the local market, known for their quality, service and proximity with their clients. Whilst a multinational company is commonly preceded by its reputation and impression of security, the prompt and cooperative daily relationship is of equal importance. Costs are only one of the factors to be analysed when considering a forwarder. A personalised service, with prompt response to your inquiries, attention to detail and transparency when managing expectations should also be taken into account. Make sure you weigh the impact of an open relationship to your business before you make your final decision. Should you want to know more about how ICE can benefit your business please get in contact on 1300 CARGO1.